One of my more popular recipes is the Apple Tart, redacted from Forme of Curye. Tak gode Applys and gode Spycis and Figys and reysons and Perys and wan they are wel ybrayed colourd with Safron wel and do yt in a cofyn and yt forth to bake wel. I needed to make 3x this recipe. Make the shortcrust recipe ahead of time and put in fridge. Peel apples and pears and quarter them. Quarter the figs. Put it all (plus raisins and currants) in a food processor and whizz until blended. Add cinnamon and ginger and stir. Take shortcrust out, roll it out and make tart cases out of them into the tart pan. Spoon out mixture into tart cases (Adding two beaten eggs into the mixture and stirring it in well will make the mixture hold together better when it comes out. But I often use this as a vegetarian option and in tart form it doesn’t need the eggs so I leave it out) and put in the oven for about 30 minutes on 180 degrees Celsius until the pastry is cooked. Yup. They are often the cheapest apple for the size. 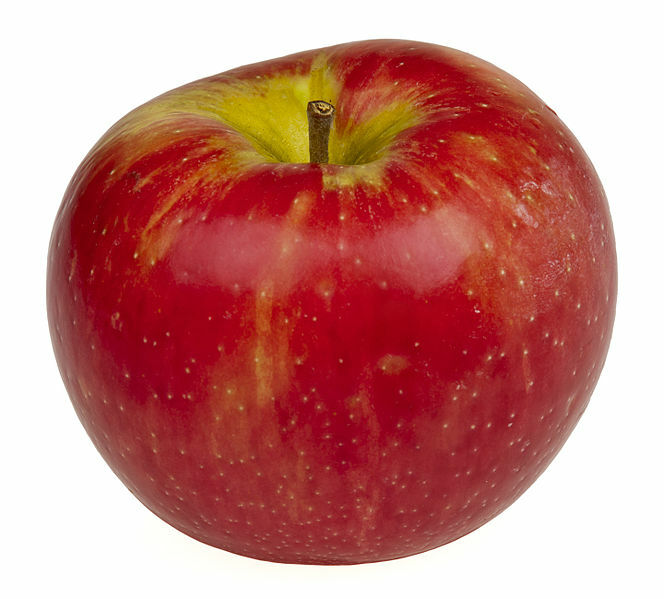 I actually found that any apple would do although different apples do change the taste slightly. I would try to either aim for a large apple or two smaller apples. I don’t know what the most accurate apple would be. I would just use whatever apple you like the most. The recipe doesn’t say anything about currants…..
No it does not! However, I make this dish, for the most part, alongside a bunch of other dishes and some of those dishes do call for currants. And then I have currants left over. And that made me sad, so I added them to the pie. I think they work pretty well. Laziness mostly. wel ybrayed means ground, according to people who actually know this kind of thing and I did NOT have the patience to grind apples, pears and figs in a mortar and pestle. So into the food processor they go. You get this kind of brown mush once the apple and pears start to oxidase. No, it’s not. I have made several variations of Apple tarts over the years and what I found was that I wasn’t seeing the colour that they talk about, nor was the delicate taste of saffron coming through in the fruit. (I used up to 12 strands) So I chose, rather than to grind more saffron in a mortar and pestle with water until the colour and taste did come through, to just forgo it. Since I wasn’t seeing the taste or colour anyway, it didn’t seem to matter much. I would guess this is due to using modern apples and pears which possible have more taste and oxidase faster than 14th century English ones did. So, once upon a time, I made fruit pies as pies. In a big 6″ tin, pastry went down, mixture on top, into the oven. But, it’s a very wet mix. Possibly a result of the food processor. Anyway, I would precook these pies a couple days before and bring them to the event and the puff or shortcrust pastry would get soggy at the bottom. They would be hard to eat, since they basically had to be spooned into a bowl and then eaten with a spoon. So I switched to shortcrust and to tarts. And that has worked very well from the perspective that now they all get eaten as people can pick them up and eat them with their fingers and without a bowl. They are commonly used spices in 14th century England and go well with fruit.